A single door shower door is just that - a single glass door that fits in a shower opening. Doors can open to the left or right. You can also get these showers with a steam shower transom at the top. Single glass shower doors are perfect for smaller spaces, like you might find in older Washington, DC area homes. From a historic home in Fairfax County, VA, a Mount Pleasant Tudor in downtown DC, or even the Beaux Arts style home specific to Kalorama...each unique space deserves the best frameless glass shower! Even smaller-sized guest bathrooms in a recently-built like you might find in a contemporary home in Northern DC are perfect for a smaller-sized single glass shower door. 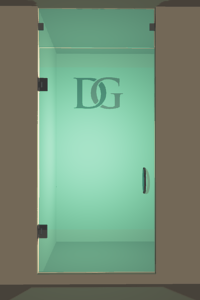 Single glass shower doors make economic use of space, and are easy upgrades for existing showers with single doors. They’re also great for a renovation project when you’re looking for a space-saving shower. Talk this over with your contractor, architect, or designer when you’re planning the space. After your tile is laid, the time is right to get in touch with us so we can help you specify and install your new single glass shower door. Doors can open to the left or right. For the single glass shower door, the door hinges will be attached to a wall. Durable, High-Quality Products - Our showers are made of the highest-quality heavy shower glass in either 3/8" or 1/2", both of which offer superior structural integrity for your shower enclosure. How do you know a single glass shower door is right for you? This one is pretty simple. If you currently have a single framed shower door in that needs an update (think rusted brassy frames), it’s easy and economical to replace it with a new, single frameless glass shower door. If you have a smaller space where you are adding a shower area with 3 solid sides, you can choose a single glass shower door to close off the front. Not sure what size your single shower door should be? Here are some common single shower door size recommendations. 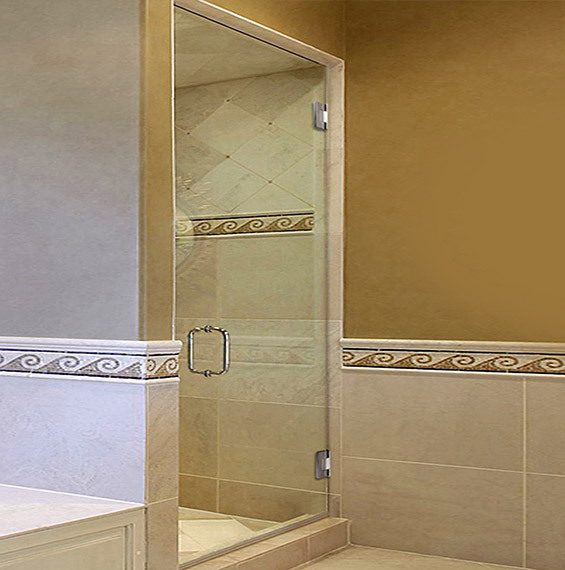 Your single glass shower door will normally be between 22” wide and 36” wide. 36” is the maximum width your door can be due to the amount of weight your wall and hinges can bear. Local codes will also typically tell you what the minimum width allowance is, but this can vary. For comfort and ease of use, you’ll single glass shower door will fall between 22” and 36”. 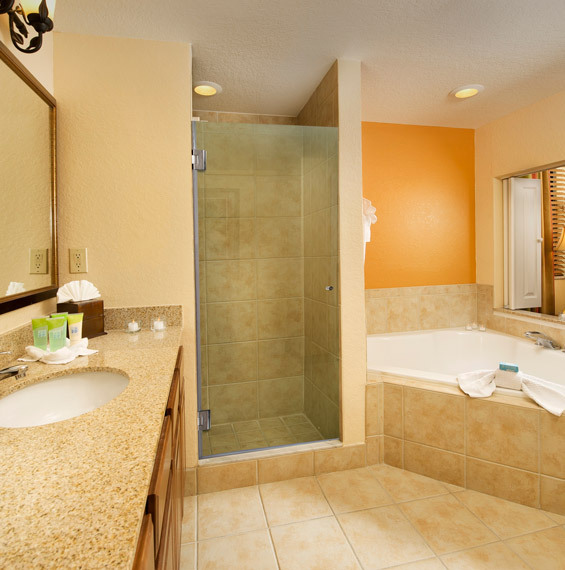 If your shower opening is wider than 36”, you may need to consider a door & panel, or inline, shower door. This just means that you’d have a single shower door between 22” and 36” and then an extra glass panel to make up the additional distance in the shower opening. This is for safety purposes. How tall is the standard single shower door? Your single glass shower door will most commonly be about 72” high. 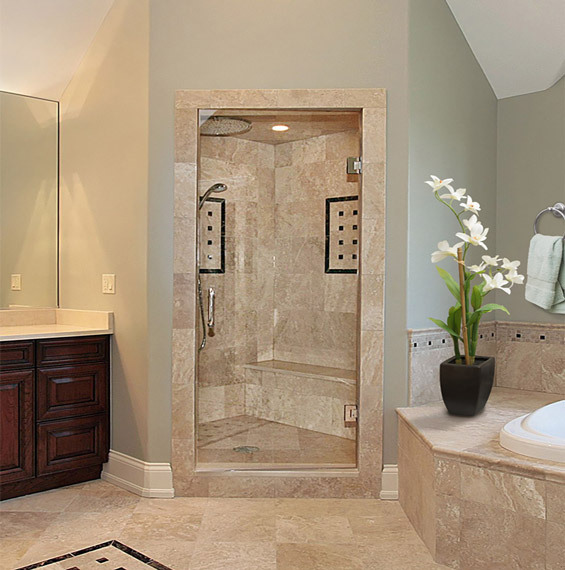 96” is the maximum height for most single glass shower doors. How tall the door can be depends on the width of the door because the height contributes to the weight of the door as well. There are typically local codes and builder guidelines that will be used to determine the proper width and height of your single shower door. When choosing a single shower door, the space you have available is the first consideration. It’s easy if you’re replacing an existing shower door. 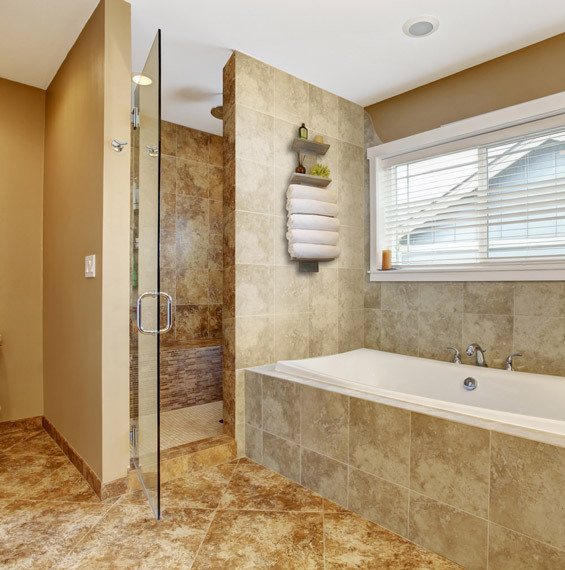 New construction or a bathroom remodel will require some additional thought. Shower Door Opening - Single glass shower doors open either to the left or right. They never open inward -- this is against building codes as it could trap you inside if you fell and had to be rescued. You have to consider whether you have a toilet or other fixed item that would prevent your single shower door from fully opening. You’ll want the door opening path to be free of obstructions. Installing a Single Shower Door - Of course we will be installing your single shower door for you, but something to talk over with your contractor or designer: Be sure the wall where we will be installing your single shower door has proper studs behind it (double 2x4 is best, though single 2x4 is acceptable). This is important for the stability of your shower enclosure. 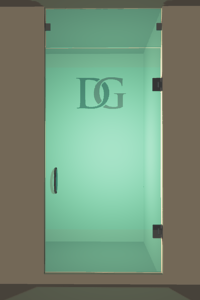 You will be able to customize your single shower door so that it is exactly how you want it. For example, you can choose the glass thickness, type of glass, glass thicknesses, and more. 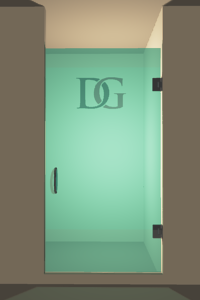 Learn more about our shower door customization options in our Shower Buying Guide. We don’t like to brag (ok, we like it a little bit! 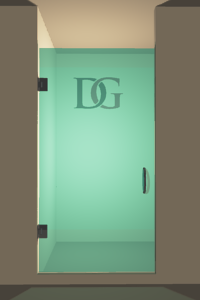 ), but if you’re looking for the best single shower door in Northern Virginia and the DC Metropolitan area, you’re looking at it now. What makes it the best single frameless shower door available? Get a quote on a new frameless single shower door today!